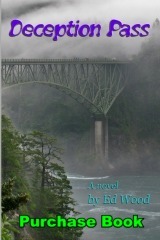 Deception Pass describes the quest for justice following a multiple vehicular homicide and vehicular assault. The maneuvers leading up to and including the courtroom drama depict the tragic legal realities in a state that has not yet enacted effective drug per se laws that define driving under the influence of drugs. This guest editorial was written as Colorado was considering passing a 5 ng/ml THC standard for driving under the influence of marijuana. All marijuana testing has been done in animals. The DEA won’t allow testing of marijuana in humans. Colorado’s testing laboratory cannot differentiate between active and inactive THC. A DUID amendment isn’t needed because 90% of DUID charges already result in a conviction. It has been proven that drug per se laws don’t work. There’s no science to support any THC limit. In the following, DUID Victim Voices corrects the misleading statements and distortions included in Elliott’s communication. See Elliott’s original communication to retrieve missing here links. Discussion of impairment, drug levels, drug tolerance, blood testing alternatives. 6. Do Drug per se laws work?